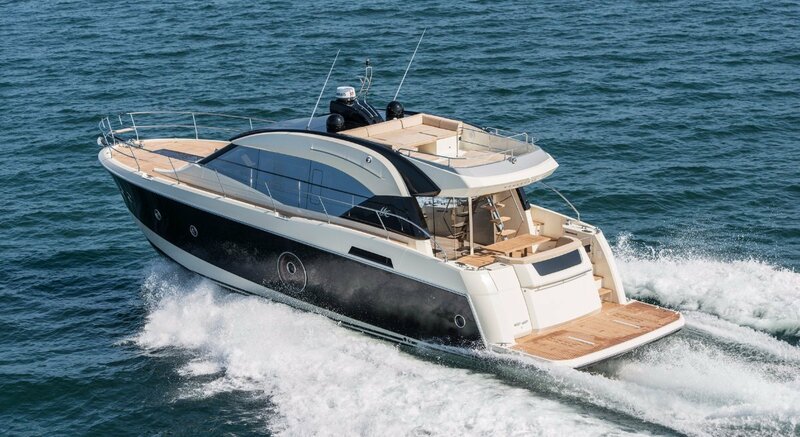 Elegant in every respect, the Monte Carlo 6S is the last of the premium line created by Beneteau in 2013. This iconic sport version of the Monte Carlo 6 elegantly heightens sensations. 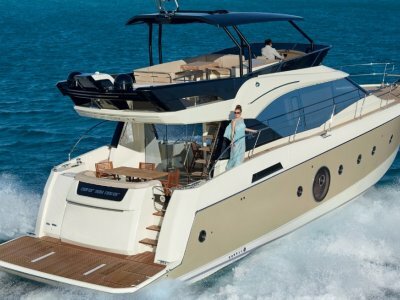 The terrace and lounge is the hallmark of this motor cruiser's design. 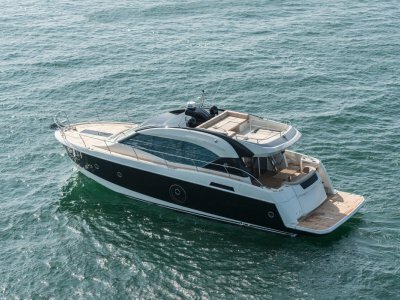 Perfectly ventilated by the opening sunroof, the main deck seamlessly connects the saloon, steering station and galley. With an incredibly spacious distribution of volumes, the luxury of the interior fittings will immediately set you at ease. 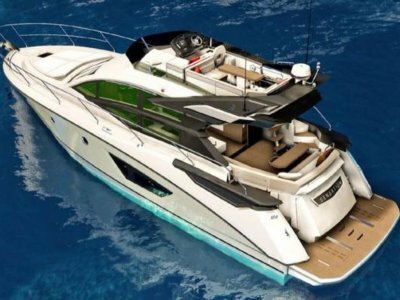 Below deck on the Monte Carlo 6S, the three magnificent impeccably finished cabins, en-suite with shower room, offer incredibly elegant owners and guests accommodation. 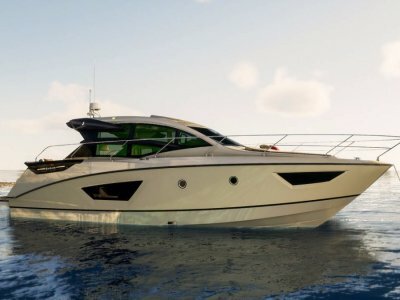 Displaying her sporty elegance from stern to bow, the Monte Carlo 6S has renewed the luxury codes on this type of cruiser. The perfect combination of her versatile V-shaped hull with twin engines is the mark of a reliably safe and breathtakingly beautiful boat.